The post Is The Future Screen less appeared first on Macrosoft Inc.
Research indicates the screenless technology market will cross the $5 billion mark, by the end of next year. There’s no doubt the technology marketplace is moving at an expedited pace. When speaking with colleagues and friends–we all agree that we’re maximizing the concept of “frictionless living”. Anything that can help us minimize task-time is inherently good. Devices like Alexa and Google Home are revolutionizing the way we interact with technology and minimizing friction. Think about it, you can just ask from across the room to get more toner for the printer or to buy the dog a bed! As we’ve seen, conversational interfaces have also gone through a myriad of permutations. From screenless to screened interfaces, companies (like Amazon, Google and even Facebook) have had a difficult time determining which will be the defining conversational interface. There is, however, a single truth about conversational interfaces: they’re here to stay. One of the key reasons for this shift is that voice data is enabling companies to understand their customer base. Further, voice data is invaluable as a digital transformer because, it holds much more value than other means of communication. Voice conveys context, sentiment, intent, emotion and action–these things provide real intelligence and drives valuable outcomes for businesses. Additionally, voice enables us to ask incredibly complex questions rather than searching for keywords on Google. According to research from Red Box, most companies will have a ‘voice first’ strategy within the next five years. This demonstrates a clear paradigm shift towards recognizing the value of the spoken word. Moreover, 95% of C-Suite execs believe voice data is ‘valuable’ or ‘very valuable’ to their organization. Voice is going to be key in understanding the incoming consumer generations. I consider myself to be a digital native, but when I see my colleague’s or friend’s kids interact with their phones I’ve noticed something astounding: they treat Siri like a friend. They are naturally at home asking for anything and everything, to the extent that they rarely type. According to Gartner, voice-based search queries are the fastest-growing mobile search type, and comScore estimates half of all searches will be performed via voice by 2020. If anything, these stats and anecdotal stories bring home the critical importance of making sure your website is optimized for voice search and response. This will impact search engine optimization (SEO), as people search with different terms from specific keywords and use natural language. Meanwhile, for executives and developers creating bleeding edge software products, it means voice must be an integral part of a user’s experience. It means shifting from thinking in terms of clicks/swipes and delivering seamless voice experiences. It means delivering experiences in a world where immediacy is key. People want to ask a question and receive immediate, insightful information. While I wouldn’t go as far as to think the future is screenless–its going to be far less screen-centric. It is time for you to consider optimizing your website or app. It is time to consider ‘what’s my company’s voice?’. The post Choosing the voice of your company appeared first on Macrosoft Inc. Historically, branding has been associated with your company’s distinctive design. This means you have a unique logo, color scheme, and imagery that represent your organization. But in today’s conversational world you’ve got to ask yourself: what’s your company’s voice? Chat and voice applications have officially hit exponential growth rates. According to Gartner and others, businesses have deployed more bots than anticipated and the adjusted number of bots will be higher than expected! In fact, next year 85% of all customer service experiences will be facilitated in some way, by a bot–be it voice or chat. In the very near future, your customers will be using a variety of devices to talk to your company, before they ever meet with the sales person. It’s time for you to start thinking about what the sound of your brand. Another way to look at it is: if you were to have a conversation with your brand what would it say? How would it say things? The first question to ask is: how do I create a memorable experience? Generally, companies forget that voice and chat are not only ways to help gain a new customer or solve an existing customer’s issue–they can also create brand awareness and help make your brand more personable. Remember, each build (be it voice or chat) should be tailored “to the tenth degree” for a customer to have a good experience. If you want to learn more about chat and voice bot best practices, download our white paper here! The second question to ask is: what’s my brands persona? Do you want a male or female voice branding your company? Let’s unpack these questions in order. Personas include everything from dialects to accents to tones. Even choosing to not have a persona is a persona in itself! Generally, the brain without even knowing what a voice/chatbot sounds like, can make some assumptions as to how the persona looks. Next, gender can be a tricky thing to navigate–often voice and chatbots are female. However, we’ve recently seen the introduction of genderless voice bots like Q and Sephora’s Color Match bot–which offer the companies the ability to be a little more anomalous–without being too eccentric. It also helps companies avoid pigeonholing the branding efforts to just one voice (think about Progressive and Flo). The final question to ask is: what’s my bot going to say? Do you want to be hard-hitter, with a strong call to action? Maybe you need a very sober and factual bot–generally something that banking companies do very well. Or maybe you want to be a little more playful and fun–something that fast food purveyors like Dominos have accomplished with their Twitter bot. Always consider how existing voice and chatbots respond– If you say, ‘I love you’ or ‘I hate you’ to Siri or Google assistant, how do they respond? Moreover, how many different types of responses do you get from each, for the same question? Additionally, it is important for your messages to be sensible and empathetic–being able to provide virtual markers like ‘we’re almost done!’ or ‘just a few more steps’–help give users a sense of direction and finality. Just remember, that building a bot without considering the above will result in a disjointed bot and confused customers. When we talk to CIOs about latest the technologies–chat and voice bots have become a reoccurring conversation. What’s more, At Macrosoft we see it as the place where a CIO and CMO meet to join cutting edge technology with strong branding and marketing initiatives. Plan accordingly and bot carefully! The post How to Attract and Retain the Best IT Candidates appeared first on Macrosoft Inc. There is an ever increasing need for technology professionals as the US economy continues to see some of the lowest unemployment rates ever. This trend is even more prominent within the IT and Software sector. IT developers to fill these on-site jobs are experiencing an increase in demand, yet are getting difficult to find and retain. As the demand increases companies need to change their approach to find the best candidates. There is an increasing use of technology and specifically artificial intelligence to scour the web in search of candidates. This may produce results when considering volume. But we believe strong social networks and reputation in the market is key to finding the best candidate for hard to fill positions. 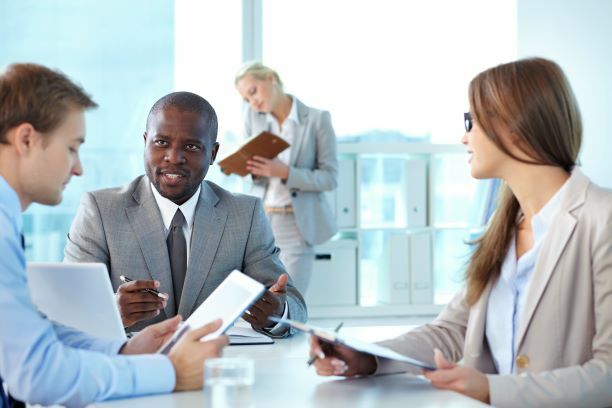 Maintaining relationships with a pool of candidates is essential to a successful staffing practice. This pool may not be the ultimate person placed in the role, but is the connection to finding the right candidate. Time needs to be invested to build these relationships and nurture them. Staffing companies that are solely transactional finding candidates off the job boards are a dime a dozen. Recruiters with strong business networks across specific technology platforms are the ones that succeed. Recruiters with strong business networks across specific technology platforms maintain the healthiest pool of high quality IT candidates. At the same time organizations needs to adapt in how they source and maintain IT candidates. Though companies are accustomed to working with temporary staff on either short or long term projects. But these temporary staff need to be treated equally as well as your full-time employees. If you simply treat them as insignificant members you are not going to experience the long-term success with them. Learn more about how Macrosoft’s Staff Augmentation services can provide the best candidates for your company. 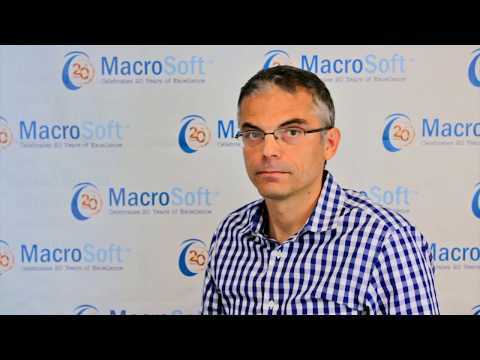 Macrosoft has a 25 year history finding great candidates for great clients. We have found that even more important than the pay rate is a flexible work environment. Providing people the flexibility to maintain a great work-life balance and offering a desirable work environment, ensures you can attract and retain the best talent. Topping this list is the ability to work from their home office on a regular basis. Sure people may slip out and get a haircut but you will quickly know based on their output that people remain equally if not more productive when given the opportunity to work remotely. Companies who offer a good work life balance to employees have a better chance of retaining talent long term. At Macrosoft we are committed to maintaining relationships with clients and keeping a competitive pool of highly qualified candidates. We continually advise our clients to ensure that your work environment is geared to attracting and retaining these high-quality people through competitive compensation and an opportunity to maintain a work-life balance. The post Analytics Changing The Way Businesses Make Decisions appeared first on Macrosoft Inc.
Analytics can be a powerful way to identify opportunities as it impacts the organizations business decision-making abilities. With modern analytical techniques, business leaders can analyze the latest market trends and customer preferences based on which new targeted business models are developed. Once businesses gain analytical experience they develop strategies to optimize key business processes that focus on enhanced customer experience and satisfaction. Let’s see what Burak Tansug (VP Analytics, Metrica), a world leader in Big Data and Analytic Services have to say about “How analytics is changing the way businesses make decisions in the modern world”. Nowadays the number of touchpoints (interactions) and the volume of potential customer searches are increasing rapidly. Touchpoints are created based on, how a given potential customer searches for the product or services, the way they explore the marketplace, and the way they interact with the advertisements. These sequence of events amounts to so many touchpoints that have resulted due to interactions between customers and the services companies offer. So, the old ways of trying to come up with a marketing strategy or trying to promote a certain product or service, where some of the decisions are just based on gut feeling or imitating other competitors are gone. Instead, you really need to look at all the data created from all these touch points, analyze them and see what the trends are. A focused analytical effort is required for businesses trying to understand its customers, which in turn helps make appropriate business decisions. Analyzing the huge pile of data that companies are sitting on will help derive value to make real-time fact-based decisions. New innovative technologies are required to deliver data-driven results that can be extended throughout the organization. Not only this, companies need to be able to incorporate data into their business processes, their strategies and their day to day operations. Most important of all companies will have to identify the kind of data that will provide insight to make strategic and operational decisions. Mainly the challenge lies in sorting through all of the available data to identify trends and patterns that will drive beneficial changes to the business strategies. how to know the specific needs of the customer. All these different parameters should be optimized and the way to optimize them is to understand the story behind the pattern that the data tells you. So, in that sense companies should change their mindset from the old school of making or other subjective ways of making business decisions to the objectivity of what story the data tells them. In an ever-changing business environment future prediction become all the more important in delivering real-time business insights. Quality data is the key to it and identifying such data sets are critical to effectively manage business policies that have long-lasting outcomes on your organization. Contact us to know more about how big data and analytics can pave way to a better future for you and your company. The post Microsoft Dynamics 365: Online/Cloud Vs. On-Premise appeared first on Macrosoft Inc.
As a brand, Microsoft Dynamics has shown its presence in the market for quite some time. Microsoft Dynamics 365 is the latest innovation from Microsoft, which combines the capabilities of both CRM and ERP. Data is at the core of Dynamics 365. Being able to share data is incredibly important, as is the ability to access it anywhere, anytime. This is one of the main reasons Dynamics 365 has succeeded in the market space. As an individual player, Microsoft Dynamics 365 provides one unified solution for a business’ needs. It’s always recommended to deploy Microsoft Dynamics 365 in the cloud, rather than on-premise. There are several benefits to deploying Dynamics 365 in the cloud. Perhaps the most important factor is the cloud platform on which Dynamics 365 runs: Azure. Azure provides a secure and reliable channel for communicating with external cloud-based applications. Additionally, Azure leverages better security, redundancy and failover capabilities. Let’s consider some of the other factors, when choosing to deploy in the cloud or on-premise. Security Concerns – Every day we hear about large organizations being targeted and hacked. In large organizations, security may not be a big concern as they automatically upgrade to the next generation of firewall. Cloud provides a second level of defense against various attacks. Although, it is easy to administer various functions through the cloud, security is not one of them. It should be noted that the security which is built into the cloud version of Dynamics 365 exceeds all on-premise versions, most of the time. Configurability Issues – When using Dynamics 365 on-premise one can directly access the backend database, allowing users to make a few changes a little more efficiently (than if hosted by Microsoft). By doing so, the system is at risk of becoming incompliant with Microsoft. This can also lead to greater problems when it comes time to upgrade. When online, you are forced to comply with the best practices customizing and configuring Dynamics 365. This may not be a perfect approach, but it will minimize long term risks to your system. Online Only Add-on Features – Microsoft releases many features online. When on-premise, you will not have access to those features, but when using Dynamics 365 in the cloud, it is much easier to deploy third party add-ons, as the infrastructure is more consistent. Running Backups – Running routine maintenance including things like regular backups and restoring them if needed, will bog down your IT team, if you’re using an on-premise server. Companies will ultimately have to spend a lot of time and money for hardware and software upgrades to keep the servers up-to-date. Difference in Cost – This depends on a number of factors. It is far more complicated to understand and manage licenses for on-premise servers, than it is for cloud based Dynamics 365. On-premise is generally more expensive due to the time required for installation and maintenance. Cloud offers a subscription model which only accounts for the operational expenses based on service usage. As you can see there are definite advantages in using a cloud based service. Moving from Dynamics 365 on-premise to the cloud, solely depends on what is more appropriate your company. Some may have restrictions on sharing critical information, at which point the cloud may not be a suitable option. Moving Dynamics 365 to the cloud is the ultimate solution for companies looking to reduce IT needs, lower operational costs and benefit from faster setup & implementation.